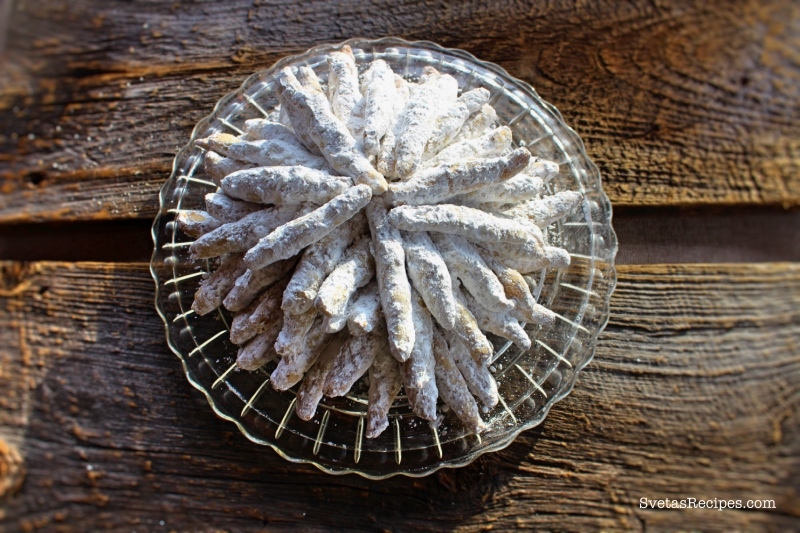 These Walnut Fingers are optimal for any wedding or parts, They go along great with tea and almost melt in your mouth! 1.) To start off the Recipe crush your walnuts using a rolling pin. 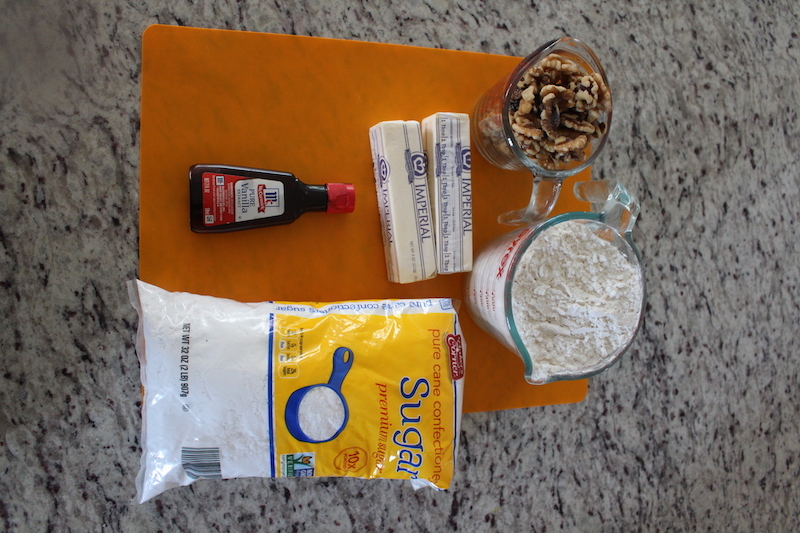 In a large bowl add your margarine and powdered sugar, then mix together well. Continuing add your crushed walnuts and flour. Also mix together until you have a dough. Preheat your oven to 350ºF. 2.) 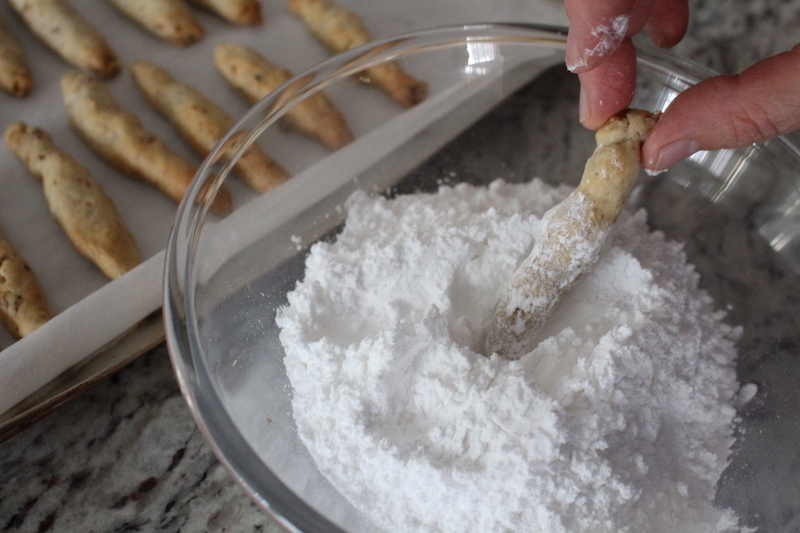 Using your hands take little pieces of dough and roll them into the shape of a finger. 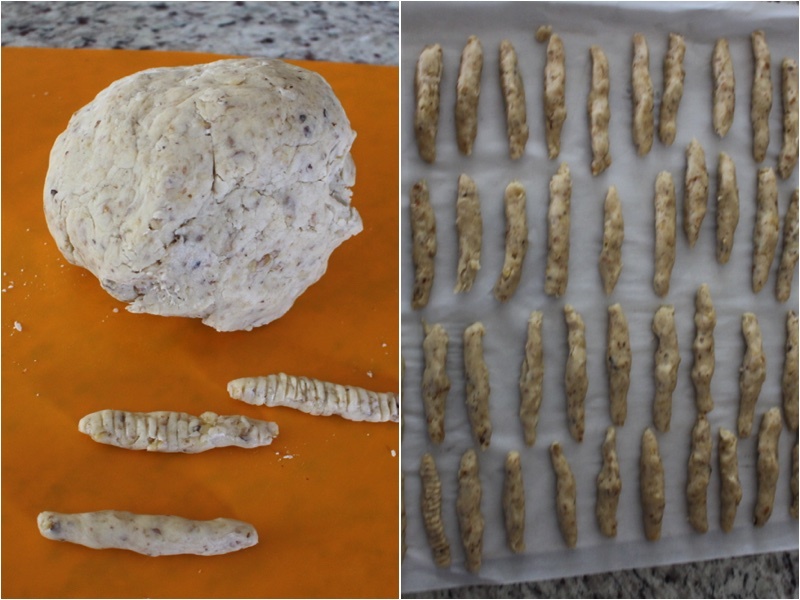 Place your fingers onto parchment paper and then onto a baking sheet. Bake your fingers on 350ºF for 10 minutes. 3.) Continuing remove your fingers from the oven and let them cool off. Also dip them into powdered sugar and place on a serving dish. Enjoy! 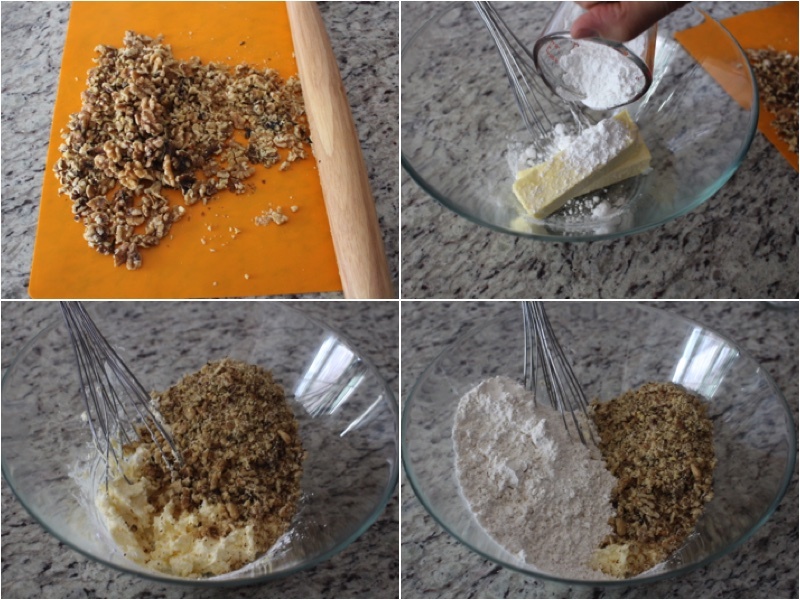 To start off the Recipe crush your walnuts using a rolling pin. In a large bowl add your margarine and powdered sugar, then mix together well. Continuing add your crushed walnuts and flour. Also mix together until you have a dough. Preheat your oven to 350ºF. Using your hands take little pieces of dough and roll them into the shape of a finger. 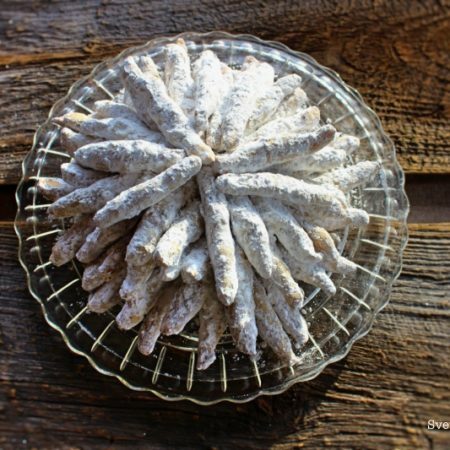 Place your fingers onto parchment paper and then onto a baking sheet. Bake your fingers on 350ºF for 10 minutes. Continuing remove your fingers from the oven and let them cool off. Also dip them into powdered sugar and place on a serving dish. Enjoy!